Cooking Light tests scrambled egg hacks. Apparently I need to try seltzer water? Speaking of eggs (I have kind of a soft spot for them), check out the history of Egypt's egg incubators! An ancient technology still in use today. It's morel season! Really really hoping to go hunting this year. Apparently it's set to be a good 'un. I've only been to Cahokia Mounds on field trips in middle school, and have been meaning to get back there. This article talks about discovering what citizens of mound city ate. My husband is this guy! He is notorious for bringing the new flavors of Oreos to parties (so we don't have them at the house, you see). Speaking of my husband, last week was our one year anniversary! (See my wedding post here) We celebrated all weekend, with a delectable dinner at Sardella (sorry, my photos did not turn out very good), then brunch (of course) the next morning at Goody Goody Diner. We went book shopping at one of our great local book stores, Left Bank Books, because the first anniversary is the paper anniversary. I can't wait to dig into all these cookbooks! 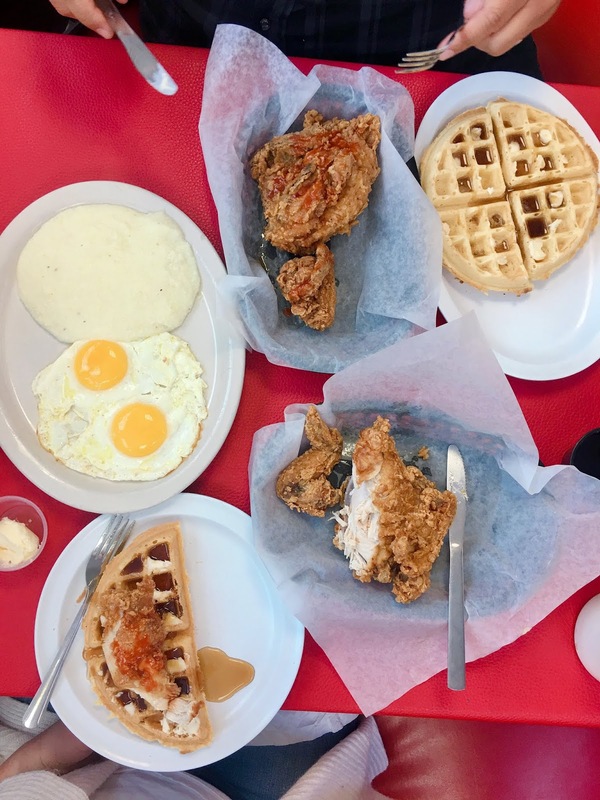 Goody Goody Diner's chicken & waffles are a St. Louis treasure. That's it for now. Until next time, stay hungry, stay curious.